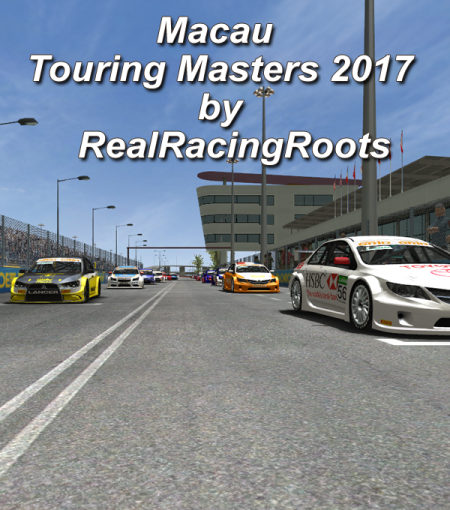 Same team and talent GameData Files as were used in the 2017 Macau Touring Masters. Camera Car is included for spectating Ai Races, quit whenever if driving it then go to monitor to watch the race. Custom Championship requires Macau (Macau) to be used. If you downloaded the GTR WC 2016 or 2016 Macau Junior Masters Mods, there will be talent file clashes. A non-championship race over on GPRejects which in essence is the Macau Grand Prix Touring car race. We got a grid of 24 cars, all with unique talent files. BUT it has a brand new .HDC file to make it not handle like a Lotus Elise. run over on GPRejects, it does require Macau.